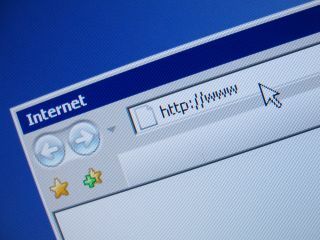 More than one in ten British internet surfers have been victimised by web fraudsters in the last year. That's what the Government is saying after conducting its survey of adult internet users throughout the UK. The report, titled Internet Safety: The State of the Nation, says that the 12% of people who have been defrauded online in the last 12 months have been taken for an average of £875 each. Almost 3.5 million people across the nation have experienced online fraud in the past year and in that time, 5 per cent of all internet users (1.5 million people) suffered fraud while shopping online, a further 5 per cent experienced another form of general online fraud and 4 per cent (1.2 million) were subject to bank account or credit card fraud as a result of activity online (some users experienced more than one of these). The rise in online fraud comes as UK internet activity has risen dramatically. The report found that 93 per cent of internet users now use the web daily and that, on average, we each spend £1,044 per year buying goods and services on the web - equivalent to £30 billion for the UK online population as a whole. The Get Safe Online research said that if internet users took the same precautions online that they did on the high street, a substantial proportion of online fraud losses could be prevented. Rather embarrassingly, less than half of internet users know that they are responsible for their own online safety, and absurdly one in six believe that their bank is wholly responsible for their online protection. Pat McFadden, Minister with responsibility for Transformational Government, said: "The internet is transforming how we get and use information. It is also helping us reform our public services around the needs of the individual. "However, as we make more services available online so we need users to take the same basic precautions in using the internet as they would when making transactions in the high street - such as not sharing your bank details or passwords." "This survey shows that although the internet offers great opportunities for people to carry out their business when and how they like, people must also take care if we are to stop criminals abusing greater popular use of the net." Tony Neate, managing director of Get Safe Online, said: "The internet is a fantastic resource and its use is growing daily. Unfortunately, it is now also being used by criminals who are out to defraud us. "If we all take greater care to protect our personal information online, we can reduce the majority of these criminal activities. Our message is that each one of us has to take greater personal responsibility for our own online security. To help achieve this Get Safe Online has a website , which provides all the information that people need to know in order to safeguard themselves from criminal activity online." Garreth Griffith, head of trust and safety at eBay UK and director of Get Safe Online, added: "You wouldn't give a stranger the key to your front door, but this is the situation many people unknowingly find themselves in with the more sophisticated forms of online fraud. "Although many organisations will provide a means to recover lost money, ultimately there are simple steps people can take that can reduce the risks in the first place. On eBay, we would encourage users to visit the Safety Centre, which includes advice and tools to help trade safely on the site."